Camping in Himalayas- one of the most explicit ways to get closer to the grand Himalayas to enjoy the wonders of nature and sharing the warmth of its people. Camping really acts as a multivitamin for the nature lovers to explore and enjoy the amazing geographical features. Anyone who wants to feel some kinds of cozy moments, the idea of camping tours at the vast stretches of Himalayas is the incognizant feeling to them. Camping is the best medium to make your holiday more interesting and exciting. Vibrant hills with fresh air and turbulent rivers and the scenic beauty will charm you at every step of camping tours in Himalayas. 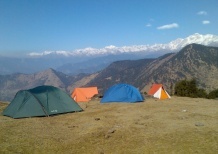 There are various options for camping in the Himalayas in different parts of the state. Some of the chief sites for camping in Himalayas are Rishikesh, Corbett National Park, Chilla, Mussoorie, Kaudiyala, Nainitall and lot more. 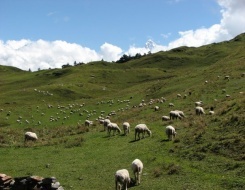 Himachal is one of the best options for camping in the Himalayas. The campers can carry their own gear along - or opt for any of the several camps that are pitched in various parts of the state. Various camping programs are studded with impressive services like accommodation, catering and a variety of activities like hikes, fishing, nature-tours and rafting. 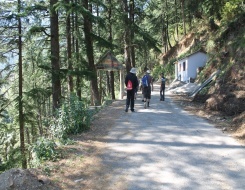 Most of these offer quality facilities and services to make your camping tour more worthwhile and interesting. A unique holiday in the camps established in the lap of the nature brings an option for amazing treks, nature walking, bird watching, safaris, and many more. Camping idea can be the best idea for spending your holidays in a different way. This camping idea would be a unique trip that you can choose for spending some days in a different way. You can go camping for keeping yourself out of the daily hustle and bustle. 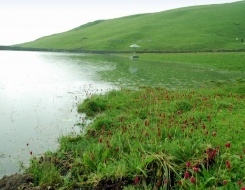 It’s a best idea to calm and relax at the lap of pristine nature for a couple of days with tremendous options of camping in Himalayas in India.